Get in touch with us for placing small as well as bulk orders, timely deliveries will be straight to your doorstep! Courtesy a state-of-the-art warehousing unit and an ultramodern inventory control system, we take care of product storage-related work with ease. Our warehouse and system empower us to maintain year-round products' availability. 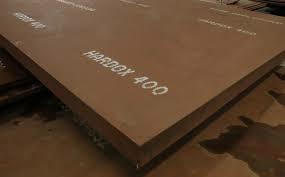 Our Hardox Plates are commonly used for various construction purposes in offices, buildings etc.